Robots in Disguise: Why are the Autobots Always Outnumbered? Anyway, this post is something like a sequel to “Why Are the Autobots Always Outnumbered?” It is also a look at the latest Transformers series to hit the airwaves: Transformers: Robots in Disguise. First and foremost, I have to say that the Autobots have not always been outnumbered. In the 1980s TV series and a couple of sequel TV series, there have either been an equal number of Autobots and Decepticons, or more ‘Bots than ‘Cons. My problem with the later series is that there have been fewer and fewer Autobots. The 1980s series had a long roster, and few ‘Bots from that series appear in newer shows today. This goes for the original female Autobots as much as for the male ones. Transformers Prime had one female Autobot, the perennially popular and recognizable Arcee. Arcee is a great character (Prime had an especially intriguing take on her, not least because she barely had any PINK in her armor! ), but the original characters are either shunted aside to make room for new characters or they are left out completely. As an example, both Transformers Prime and Transformers: Robots in Disguise have character rosters that include old stand-bys Optimus Prime and Bumblebee. These are two great characters, and I certainly cannot imagine a Transformers series that does not have Optimus Prime as the leader of the Autobots. I much prefer him to all the other potential supreme leaders of the group, quite frankly. But other ‘Bots from the original series are either never brought in or are killed off, as in the case of Cliffjumper and Seaspray in Prime. If the writers do not want to bring them in, they certainly do not have to. But why bring them in only to kill them off? Especially when most of their target audience (children aged seven and up) either barely got to know them or have no idea who the particular characters were? I simply think it would be a good idea to include as many original characters in the new Transformers series as possible. Luckily, Transformers: Robots in Disguise, is doing that fairly well. 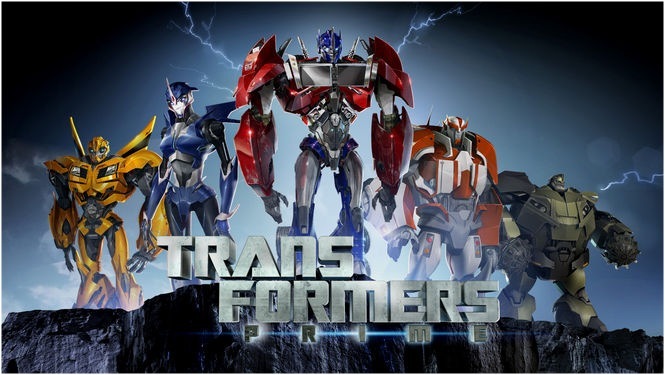 The current Autobot roster consists of such originals as Bumblebee, Sideswipe, Grimlock, Optimus Prime, and Jazz. Slipstream and Jetstorm, whose names have been applied to characters in previous series, appear in the show as Mini-Cons. The newcomers in the series are Autobot bounty hunter/samurai Drift, Decepticon hunter Windblade, Mini-con Fixit, and Elite Guard cadet Strongarm. (Previously, characters named Strongarm were male. I am sorry, but would it not have been better to bring in an original female Autobot instead of retrofitting a male Autobot’s name for a female character? Anyone…?) The only newcomer in Prime was Bulkhead, who in that series was a former Wrecker, while the ‘stand-bys’ included new versions of Wheeljack, Ratchet, Arcee, Ultra Magnus, and Smokescreen. And, as I said in “Why Are the Autobots Always Outnumbered?,” it is rather irritating that the Decepticons end up outnumbering the Autobots in the newer stories because the Autobots are too stupid, wishy-washy, or otherwise ignorant of the coming Great War. Robots in Disguise seems to recognize that fact, being helped along by the detail that the series takes place after the close of the war between the Autobots and Decepticons. Now, the Autobots rule the rejuvenated Cybertron and the Decepticons have been reduced to the criminal class. Their alternate modes are vehicle and animal, much like those in the Japanese show also titled Robots in Disguise. And in this new Robots in Disguise series, Bumblebee’s team roster is up to the task of re-incarcerating the Decepticon(s) they face each episode, escaped criminal(s) from the wrecked prison ship, the Alchemor. Though there are technically about two hundred or more Decepticons loose on Earth after the crash of the Alchemor, this discrepancy in Autobot/Decepticon numbers is compensated for by the fact that ‘Cons are notoriously bad team players. Only a strong, terrifying leader like Megatron or, in this series, Steeljaw, is capable of keeping a unit of Decepticons together for any length of time. And a couple of the ‘Cons in this series are also certifiable nutjobs, so they are unwilling to be part of a gang for very long. This makes them much easier for the Autobots to handle. Bumblebee is in the middle. He follows the rules every hero follows and is flexible enough that he is willing to bend or break the rules when he has to. In this way he is less rigid than Strongarm; however, he also recognizes the importance of laws and rules, something the high-spirited Sideswipe is still learning. Unfortunately, this regulation-bound version of Cybertron is a trap that I did not realize the writers might fall into if they followed my advice in “Why Are the Autobots Always Outnumbered?” I should have seen it coming, but I did not. The result is that the new Cybertron has too many rules and regulations on the books. Now that the Autobots are in charge, the writers have made Cybertron something of a “regulation nation” in Robots in Disguise. Instead of keeping order, most Autobots seem focused on being orderly. That is not the solution to the problem I brought up in my last post. Too much regulation breeds characters like Sideswipe who, if you tell him “it’s the law,” but do not explain why, go out and cause trouble because he feels he is being squashed to death by a bunch of regulations. It also breeds characters like Strongarm who live, breathe, eat, and dream about the rule book. Neither attitude is proper for life, something Bee has been training the “two teenagers” to realize. You cannot live without law and order, but you also cannot kneel down and worship the rule book. One attitude leads to anarchy while the other leads to a police state, wherein only the police are happy. What is necessary is a balance between these two viewpoints. And this, from what I remember of my research, is the problem that I was trying to address in the original “Why Are the Autobots Always Outnumbered?” post. If the writers make most of the Autobots by-the-book characters like Strongarm, then of course they are going to be devastated in a war! They have no flexibility or capacity to think beyond the instructions in the book, so how can they react to life-threatening situations? Meanwhile the Decepticons, who want to take over Cybertron, are not going to cut such ‘Bots any slack. Their pride demands that they be in charge of everything, and if someone is going to stand there and quote the rule book to them, they will not be quoting it for long. The ‘Cons will see to that. This is why Ultra Magnus has always been an inferior leader when compared to Optimus Prime. He has too much rigidity in his outlook on life, too much dogmatic love of the rule book, to think on his feet and face the enemy when they strike at him. In contrast, Optimus knows the difference between right and wrong, maintains that outlook on the battlefield, and is prepared for the Decepticons to play dirty. Because he knows that they will. Experience and an understanding of his enemy, namely Megatron, assure him of this. And this is the attitude I would rather the writers took toward the Autobots and Decepticons the next time they tell a story about the Autobot/Decepticon Great War. No more rigidity; just an understanding of good versus evil. That does not eliminate characters like Strongarm or Ultra Magnus, but it does give the Autobots a much better chance of survival as a race! Well, readers, this is the successor to “Why Are the Autobots Always Outnumbered?” If this post tops the charts for the next three years…!! Do you think you could look over some of the other posts? Please?! This entry was posted in Transformers Characters and Stories, TV Shows and tagged Arcee, Autobots, Bulkhead, Bumblebee, Cybertron, Decepticons, Denny Clay, Drift, Female Autobots, Few Female Autobots/Decepticons, Fixit, Grimlock, Jazz, Jetstorm, Kevin Michael Richardson, law and order, Megatron, Mini-cons, More Autobots, Optimus Prime, outnumbered, Peter Cullen, pink, Ratchet, regulation, rules, Russel Clay, samurai, Sideswipe, Slipstream, Smokescreen, Strongarm, transformers, Transformers Characters and Stories, Transformers Prime, Transformers: Robots in Disguise 2015, TV Shows, Ultra Magnus, Wheeljack, Will Friedle, Windblade, Wreckers on February 12, 2016 by The Mithril Guardian. Some time ago there was a Transformers series on the air called Transformers Prime. The series concluded in 2013 and a new series is scheduled to take its place this year. If you have read one of my past Transformers’ posts (“Why Are the Autobots Always Outnumbered?”) then you will know that I kept tabs on this series for the entirety of its run. One of the things that I found interesting in this Transformers series, as in previous Transformers stories, was the friendships that the Autobots established with the three young humans who discovered them in the first episode. These three youths – Jack Darby (16), Miko Nakadai (15 – ish) and Rafael Esquivel (12 – and a quarter!) formed friendships with the Autobots Arcee, Bulkhead, and Bumblebee respectively. Rafael, or Raf, was the only human who could understand Bumblebee’s beeps and buzzes (in this series, our young Autobot warrior’s voice box had – again – been destroyed by Megatron). As the youngest of the three children, Raf naturally enjoyed the company of the youngest Autobot on Team Prime. Meanwhile Bulkhead, a former construction ‘Bot who joined the Wreckers during the war, was given charge of the hyperactive, ever-adventurous (even at her own expense) Miko, a Japanese exchange student living in the U.S. Bulkhead’s friendship with Miko bordered on the comic since, while all humans are delicate by Autobot standards, Bulkhead had to be even more careful than most when handling a human because of his huge size and weight. This caution usually made their friendship appear ironic; the great big Wrecker tiptoeing around his human charge, whose biggest delight was watching things get smashed, crunched, and all-around destroyed by the tremendous Autobot. But the irony was mostly an illusion. He may have enjoyed building things once upon a time, but Bulkhead also enjoyed breaking things – as long as they were not Miko or things Ratchet needed in his work. Miko also found time to acquaint Bulkhead with heavy metal music, and the two enjoyed listening to it almost regularly. The last human to be paired off with an Autobot was also, initially, the most reluctant, a sentiment his Autobot guardian at first shared completely. Arcee and Jack did not get along well for several episodes. In part, this was due to the fact that in the first episode of the series, Arcee’s close friend Cliffjumper was offed by Starscream. Seething with pain and fury, the last thing Arcee wanted at the time was to be assigned to human-watching duty. Jack, meanwhile, had a tenth-rate job, a single mom who worried about him non-stop and a ten-speed bike when he would have preferred a motorcycle. The last thing in the universe that he wanted was to be drawn into an intergalactic battle between two alien, robotic races. But, thanks to taking the time to check out Arcee’s alternate motorcycle mode, that is exactly what he got. This was the friendship that really piqued my interest in the series. Watching Arcee and Jack becoming friends through their particular interior injuries and side-by-side battles with the Decepticons led me to the conclusion that the Transformers writers were finally moving in to more appealing character waters. This idea was strengthened when Jack was later given the responsibility of restoring Optimus Prime’s memories; it seems that humans can possess enough “spark” to qualify as Primes in certain situations. This was something I was hoping that Transformers Prime would explore in-depth throughout its second and third seasons…. But instead the series focused more and more on the Autobots and their problems alone. While I sympathize with those who enjoy the Autobots as characters themselves and who find the humans in the series annoying, and though I understand that the writers had a fixed number of episodes in which to tell their story, the trimming down of the kids’ characters and relationships with the Autobots was very irksome for me. I had initially been fascinated by the series precisely because of the children’s friendships with their Autobot allies. Watching those friendships slowly becoming trivialized until they were cut out entirely was no fun. Not to mention the fact that it would have been a lot more fun if more Autobots had joined the team on Earth. But the only new additions to the team’s roster were Wheeljack, Smokescreen, and Ultra Magnus (who came across as a real stiff rule-reader). Wheeljack came in with an interesting revamp to his back story; in Prime, he was a battle-tried Wrecker who enjoyed watching stuff blow up almost as much as Miko did. He never quite received the character time I would have liked to see him get, but what we viewers did see of him was pretty good. The same cannot be said for Smokescreen – at least, not by me. Smokescreen would have been more tolerable if he had only been an eager Elite Guard cadet, but he had the added problem of being extremely self-confident. This lead to him landing in trouble on more than one occasion; in one event, he dragged Jack along for the ride, though Jack willingly went along with him. I was not pleased with that, either, since it ruined Jack’s character as portrayed from the beginning of the series. Jack was the most level-headed and Prime-like youth the Autobots had on their side. Watching him run off to do something terribly stupid at Smokescreen’s behest was not fun. Also, Smokescreen’s store of uber self-confidence lost its charm very quickly. All the same, Transformers Prime remains a pretty solid series. It had its faults (as mentioned above), but every series will falter in certain respects and rise in others. Prime by and large treated its audience and characters with respect, and if parts of it got trimmed down as time went on, that is probably most attributable to the time frame the writers’ (or their bosses) set for themselves. They had a big story they wanted to tell and not as many episodes in which to tell it as well as they could have. That they accomplished what they have with the series is a fine achievement in itself. Let us hope the 2015 Transformers series does as well in its own way, too. This entry was posted in Transformers Characters and Stories, TV Shows and tagged Arcee, Bulkhead, Bumblebee, Jack Darby, Miko Nakadai, More Autobots, Rafael Esquivel, Smokescreen, Transformers Characters and Stories, Transformers Prime, TV Shows, Wheeljack on February 6, 2015 by The Mithril Guardian.